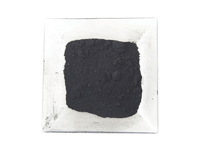 Nau CA, Neal J, et al.（1958）「A study of the physiological effects of carbon black. II. Skin contact」AMA Arch Ind Health(18),511-520. “Scientific Committee on Consumer Safety”（2015）「Opinion on Carbon Black (nano-form)」, <https://ec.europa.eu/health/scientific_committees/consumer_safety/docs/sccs_o_144.pdf> 2018年5月23日アクセス.